On February 8th, my Venturer Company and I travelled to Lake Placid in New York State for a weekend adventure in the Adirondack Mountains. We had lots of fun and did things a lot of us had never done before. We encountered surprises, challenges and made so many amazing memories. 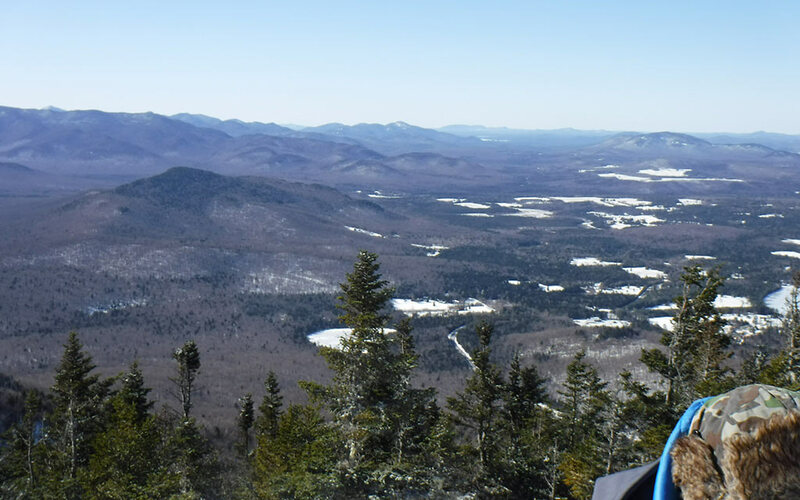 Within the Adirondacks we hiked Cascade Mountain, which has an elevation of about 4,098 feet! Out of the mountain range’s 46 high peaks, Cascade Mountain ranks 38th. We hit some challenges on the mountain, like splitting into two groups and hiking the trail at different times because one car had to drive back to grab something from the cabin. The group that I was in raced along somehow and we ended up on the wrong trail. Once we did find the other group and were on the right trail, we found some parts to be sheer ice—thankfully we brought our trail spikes! Another challenge was that each of us climbed at different speeds. For future hikes, I learned that it’s best to split into groups based on pacing so that everyone is comfortable with speed. Another thing that my Company could have done differently is training—day hikes back home to prepare us for Cascade Mountain. Some participants had never climbed a mountain before so they had some difficulty. Over the weekend I learned how to plan for future Scouting adventures. 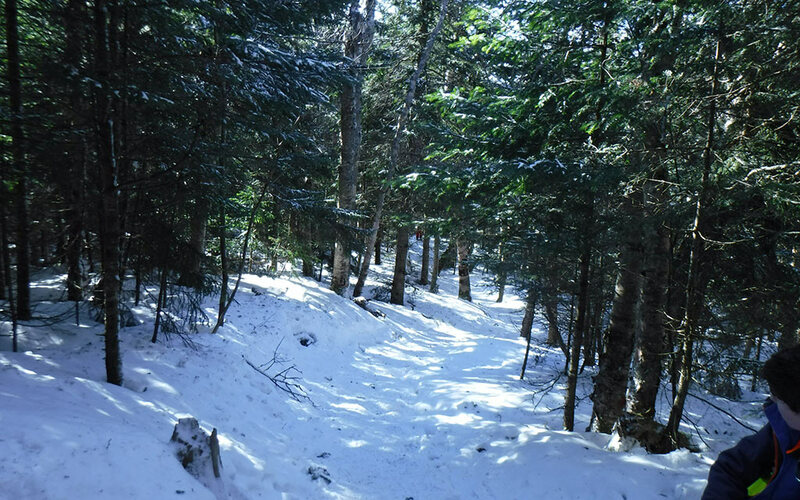 The Adirondacks are a great place to go for camping with your Scouting Group, especially with summer just around the corner! As you plan for your Scouting adventure in the Adirondacks, first establish where you are going to stay. My Venturer Company stayed at High Peaks Cyclery in Lake Placid in a cabin that slept 12, for only $600 per night. We enjoyed four bedrooms, a kitchen, two bathrooms and a living room—perfect for a Scouting Section to share! High Peaks Cyclery also offers one more 12-person cabin and another 10-person cabin. This spot is one of the many great places to stay, being in the center of town. That way, when you’re not climbing a mountain you can explore Lake Placid. Once you figure out who’s going and where you are staying, it’s time to thinking of what to pack. For hiking a mountain, it’s important to bring snowshoes (you need to have them with you the entire time while climbing), trail spikes, a day pack filled with extra layers (it can get very windy and chilly as you get closer to the top), snow pants, a base layer (could be a sweater or long sleeve shirt), good grip winter boots, mittens, winter hat, and something to cover your face. First, passports are necessary for crossing the United States border. While a Tour Permit must be submitted by your Group to Scouts Canada for approval prior to the trip, each Scouting youth must also submit a Parent/Guardian Consent Form to their Group. Additionally, travel and medical insurance must be covered for each individual. During our adventure, our Venturer Company and Scouters carpooled to Lake Placid to save on gas. We had 16 people going total and 4 of them were drivers. My Venturer Company had a really great time and we made so many fun memories. I highly suggest that every Scouting Group at least tries to hike a mountain, because after the long journey to the top, the view from the summit is breathtaking and worth the climb!